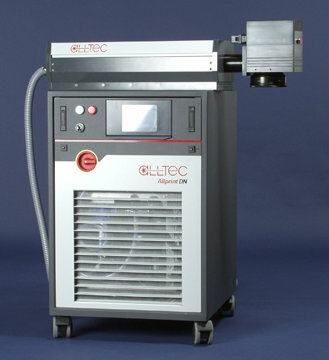 Designed in conjunction with our sister company Foba Alltec, the Videojet DN50A and LN100A are Nd:YAG lasers designed to meet the most stringent laser marking requirements for throughput, flexibility, user-friendliness, reliability and quality. The 50 Watt DN50A is suited for applications involving engraving, a color change, color removal or annealing marking at impressively high resolution. The 100 Watt LN100A is suited for engraving applications at higher power levels for greater throughput.